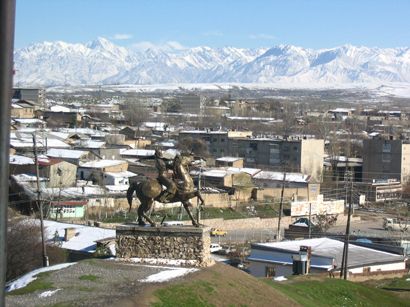 A myriad of nationalities and ethnicities coexist with the Tajik. 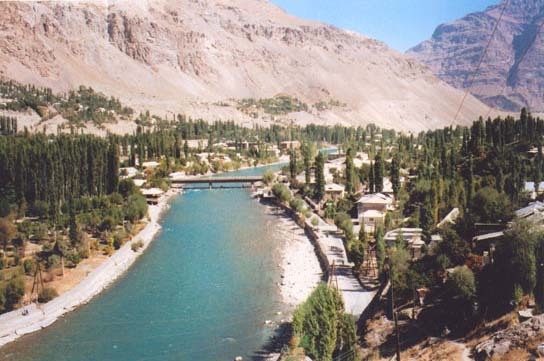 Approximately six million people live in fertile valleys watered by rivers whose torrents are fed by pristine spring water and the glaciers that top the mountains. As early as the Stone Age, the mountains were already occupied by early societies. In some regions, you can find depictions of the hunting activities of these early people. The Shakhta grotto is one of the more popular places to visit to see these stone arts. Other forms of subsistence for the early people were cattle breeding and forms of agriculture. Throughout the ages, the Tajik people encountered other nomadic people and empires seeking new territory. Among them were Genghis Khan, the Chinese emperors, and Alexander the Great during the golden age of the Persian Empire. 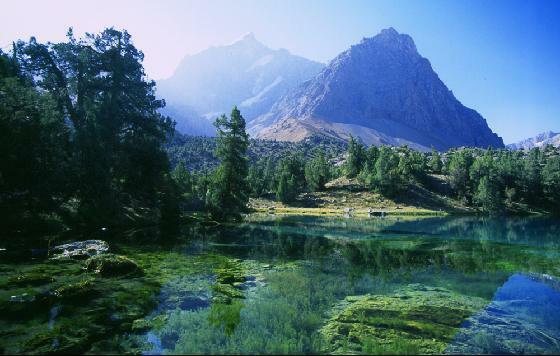 Ancient grandeur and nature at its purest find communion in Tajikistan. Linked with the great Persian Empire of the past, the intricately curving mountain ridges and the life-bearing valleys watered by pristine rivers are the same landmarks that the masters of antiquity travelled on. Find yourself face to face with the great architecture of the mosques and temples that Alexander the Great himself found awesome, and journey through the altitudes to view the sunrise in a land that has retained form and shape for hundreds of years. You'll find yourself looking at the same sights that the ancient people witnessed: the full and unabashed glory of nature. Book your adventure now to a land where Time allows you to peek back at its bountiful past. Tajikistan is a tourist destination where time and culture seemingly remain untouched since the great days of antiquity. With a land area of 143,000 square kilometers, what Tajikistan lacks in space it compensates for in wealth. The mineral resources in the country are at par with the largest countries around the globe. Beneath the mountains that cover Tajikistan are large deposits of metals, minerals, and many precious and semi-precious stones. Mining and metallurgy are key industries present in the country. A geographically mountainous country, Tajikistan is territory spiked with proud mountain ridges and canyons with façades that very few eyes have seen. The presence of large chains of mountains is also one of the sources of the immense flourishing ecological web in this country with many rare species of plants and animals. In different altitudes of the mountains, different types of ecosystems are found. There are rolling valleys with healthy rivers bubbling along on the bottom, and a little higher up are grassy hills that lead to forested mountains. On top are white snowy mountains. Among the life forms growing abundantly are Bukhara deer, mountain partridges, cane cats, snow leopards, goitered gazelles, tigers, and pheasants. Riparian forests, tamarin thickets, Asiatic poplars, and many fruit-bearing trees also thrive in the land. Because of the astonishing biodiversity of the country, several nature reserves have already been established, such as the Tiger Hollow, Ramit, Dashtidzhum, and others. 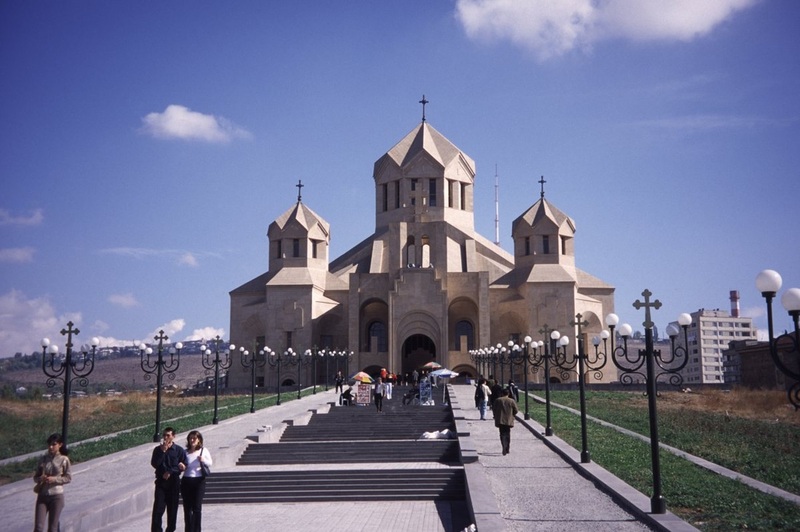 For sightseeing, visit Penjikent, which was known as Central Asia’s Pompeii. Once controlling a considerable section of the silk trade, the descendants of this ancient people are still found in the mountains with their culture intact and tradition alive. Be amazed at the Kok-Gumbez, (Light-Blue Dome), mosque in Ura-Tube, which Alexander the Great himself acknowledged as exquisite. Once the headquarters for the Uzbek rulers of the past, Ura-Tube can be found between the pages of even the most ancient manuscripts today. Discover where the Persian army found the choice horses for its cavalry in the Kurgan Tyube, a mysterious oasis between valleys, whose capital called Hulbuk vanished in the 12th century. If you want a view of the crossroads of the ancient Silk Road, visit Khojand, which was also a religious center in olden times and was filled with great citadels that stand today. In Chorku, you can also find the wooden mausoleums of Khazrati Shoh. Just as Tajikistan has preserved its unique culture and tradition, it has also maintained nights that the traveler who is weary of the same neon lights and bar hopping may appreciate. Wind down at sunset with a cool beverage, and return to the comforts of home for a nice warm supper and conversation with new friends about the intricate details of Tajikistan’s past. With history reaching as far back as the 7th-10th millennia B.C., Tajikistan has a culture to fascinate all. There is a great variety of cultures and traditions stemming from many influences such as the neighboring countries of China, Afghanistan, Uzbekistan, and Kyrgysztan. Through the optimization of their mineral resources, the people express their artistic sensibilities through sculptures and carvings made of different types of stones, metals, and clay. Archeological works have dated some of these works to as early as the 6th and 5th centuries B.C. Paintings are also found throughout the country. One of the national arts involves fabrics and embroidery, with weaving as an ancient artistic venture for the people. The art of weaving and textile production is a highlight in Tajikistan, which produces fabrics such as brocade, Karbos, shokhi-kamus, and chit. These textiles are favored throughout central Asia and have found their way into the courts of ancient nobility and empires, and have travelled through the Silk Road. Decorative carvings are also famous, and can be found in everything from the hilts of swords to doorknobs and picture frames. 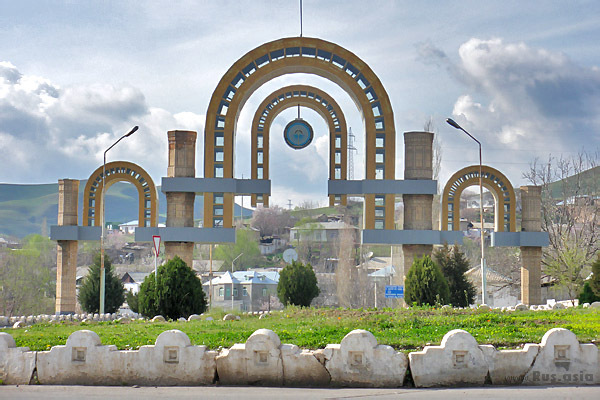 Aside from crafts, Tajikistan also has its own Golden Age during the Samanid rule when many poets, writers, philosophers, artists, craftsmen, and scientists emerged. One attraction of Tajikistan is its cuisine whose distinctive taste is the result of food preparations and processing that are unique in all of Asia. While seated on the sofas at low-tables in a nice Tajik home, you can taste meats cooked with hand-gathered fruits and vegetables. Observe the age-old dinner ceremonies and the quaint quirks of the Tajik people as you enjoy your hearty meal complete with breads, meats, soups, salads, beverages, and sweets. Just be sure not to drop bread or put it upside down on the table, in keeping with tradition.